Protests that began in July have continued into September in Basra governorate, where security forces used tear gas and live bullets to disperse protesters. The Iraqi Ministry of Health announced on 05 September 2018 that the casualty toll during the popular demonstrations in Basra has "reached 68 injured, including 41 civilians and 27 members of the security forces, with five dead demonstrators." On 03 September 2018, a demonstration started in the centre of the city of Basra near the governorate building, which was composed of hundreds of citizens demanding the improvement of services, and further declaring their rejection of the methods used to disperse peaceful gatherings. 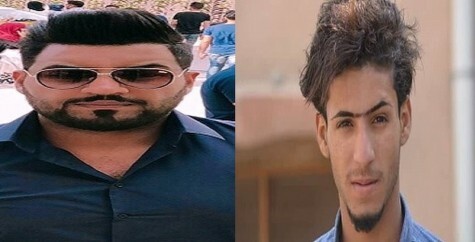 Security forces used tear gas and bullets to disperse them which led to the death of 20-year-old demonstrator Yaser Makki (pictured to the right), who was killed after being directly hit by a bullet in the chest. In the past four days, Basra has witnessed demonstrations and sit-ins, during which some of the demonstrators burned government buildings. According to reports received by the Gulf Centre for Human Rights (GCHR), security forces imposed a curfew on the city as of 04 September 2018. Nevertheless, the influx of protesting citizens continued to the centre of the city, protesting the violence against the protests and the authorities' failure to respond to their legitimate demands. On 05 September 2018, protestor Mohammad Khadim, also aged 20, who is a student in the translation department at the University of Basra, lost his life, after a member of the security forces targeted him directly with a tear gas canister that exploded in his face. Subsequent reports indicate that the number of victims killed during protests in the city of Basra since it broke out on 08 July 2018 includes dozens of peaceful demonstrators, as well as hundreds wounded. GCHR deplores in the strongest terms the use of excessive force by the security forces, including tear gas and live bullets, which have been directed at demonstrators. The use of the force against the demonstrators must be stopped immediately, so that citizens may exercise the right to peaceful demonstration which is clearly provided by the Iraqi constitution drafted and approved in 2005. Ensure that all human rights defenders in Iraq are able to work without facing restrictions, threats and judicial harassment, including by documenting protests without fear for their lives or their liberty.